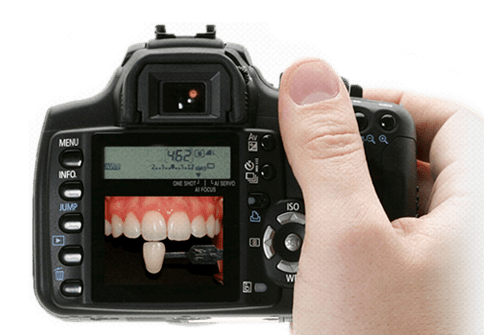 Photography has always been considered an invaluable part of dentistry. With the advent of digital technology, imaging has become easier and more readily accessible. Numerous articles have been published that outline equipment selection and photographic technique. Because new technology is continually emerging, equipment cost is always on the decline. Intraoral photographs are an important addition to patient records (charting, radiographs, study models). They provide a static, in-depth look at the patient’s dentition that is easily reviewed and compared with the patient’s other records. Throughout the years, I researched different modalities of patient education – videos, models, brochures, etc. I never found any material that thoroughly covered the information I felt was pertinent for my patients, so I made my own. 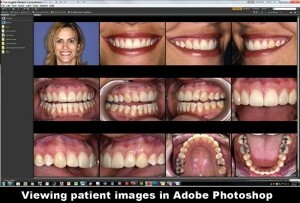 Utilizing a tablet computer and presentation software, I created tailored presentations on periodontal and implant procedures with my photographed cases. Detailed pictures showing anatomy, surgical steps, materials, and completed cases help me educate patients on diagnosis and proposed treatment, thereby improving their understanding and case acceptance. Every dentist’s nightmare is a malpractice lawsuit. In certain cases, we may also find ourselves as the treating doctor following a possible incident. Proper photo documentation may help a mistreated patient or, on the other hand, defend a colleague who has provided appropriate treatment. Perhaps it may even save you! Many times periodontal charting, radiographs, and/or a narrative are required by insurance companies before disbursement of benefits. For example, treatment submission of mucogingival defects where there is inadequate attached tissue and/or frenum pull is often disputed because radiographs and charting do not show tissue. A photograph can be used to support a narrative. Charting, radiographs, and written reports were the traditional means by which we introduced our patients to other doctors. Photographs introduce an entirely new dimension to our reports. In the field of oral pathology, where lesions may present themselves as ambiguous or completely obscure, a complete history accompanied by a high resolution photograph may be sufficient enough for an over-the-phone consultation with a pathologist. Likewise, at times I receive photographs from referring dentists of mutual patients and their recent surgical sites, so that I may assess healing/infection without the patient physically present in my office. In order to provide optimal esthetics in a prosthesis, laboratories may require patients themselves to be physically present. A stone model may accurately provide information on tooth position and shape, but provides NO information on tooth or gingival character, shade, or color. A shade guide is often used to convey information on color, but falls short in describing the complexity of depth and shadowing a tooth exhibits. A color-corrected photograph can provide much needed information to create a final restoration with more accurate hue, value, and chroma. Patient before/after photos are powerful images that can motivate and excite patients to pursue a treatment plan, while showcasing your particular skill set. Many practice websites are plagued with stock images of before/after shots. To the discerning eye, it is obvious these are not original – scanned photos, sepia tone, poor color cast, and/or low resolution are dead giveaways. Original photographs better enhance marketing with superior color accuracy/saturation, sharpness, and high resolution/detail. Text alone is often inadequate in describing dental concepts or specific surgical procedures, such as incision design, osteotomy preparation for implant placement, or suturing techniques. A photo is worth a thousand words, and sparks more interest and discussion than bullet points. As professionals, we are continually learning throughout our careers. Courses, seminars, and other forms of continuing education are important educational vehicles, but I believe we learn the most from our own experiences. As a periodontist, photographing surgeries allows me to look back at my cases and critique everything from incision design, osseous contouring, implant placement, suturing, and flap management. 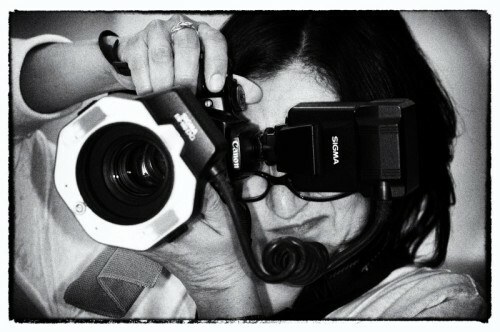 Photographs don’t lie, and honest self-assessment helps us to improve the quality of care we provide to our patients. I encourage my residents to photograph every case as if it were going to be published – minimal blood, saliva, etc. Taking the time to clean surgical sites for photographs requires patience and painstaking attention to detail. I believe this attitude propels them to do the same with their surgery – perform and execute at the highest level. Albert Yoo, DDS, completed his predoctoral training at the Stony Brook School of Dental Medicine in 2005. He received his certificate in periodontics and implantology in Stony Brook in 2008. He is in full-time private practice and has lectured to numerous study clubs, with special interest in perio-prosthetics, advanced bone grafting, sinus lift procedures, and immediate implant placement. He is a clinical assistant professor in the Department of Periodontics at Newark Beth Israel Hospital, Stony Brook School of Dental Medicine, and New York Hospital of Queens. He maintains a private practice in Bayside, N.Y.
NEXT POST Next post: Perawat = Pembantu Dokter?